Bekah Bliss began her journey with clay in a wheel throwing class at Springfield Pottery. At the time, she was a student at Missouri State University studying art education. Pottery quickly became a dominating passion for her; and eventually led her to add ceramics to her course of study. She continued being involved at Springfield Pottery as an intern. Bekah graduated from MSU with a BFA in Ceramics and a BSED in Art Education. A native to Kansas City, she is back and is currently a resident artist and teacher at 323 Clay in Independence, MO. 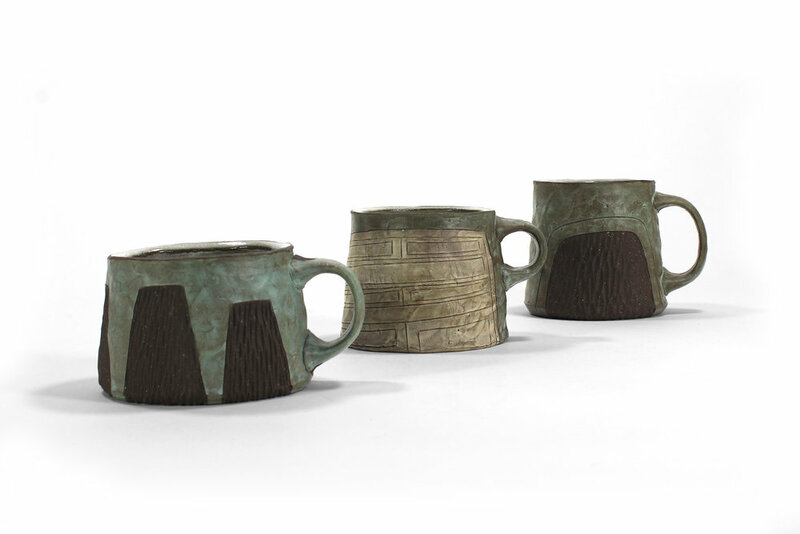 "Making functional pottery satisfies my deep longing to create something of value. I love how clay captures moments of time; each mark left by the artist turned to stone by fire. Over the past year, my creative process has moved from wheel throwing to mostly hand building. By pinching, stamping, and carving, I am exploring surfaces that leave direct evidence of how each form is constructed. My love of texture is the driving force behind my inspiration. Pulling from nature and architecture, my ideas arise from the seemingly ordinary: the soft texture and color of a plant, the patterns on rocks, the thoughtful design and comfort of a chair. The surfaces are meant to slowly reveal themselves, giving the user the opportunity to absorb small details. With each form, I consider how design can enhance the conversation between the natural and structured elements."